Hello everyone and welcome to another monthly update post. Can you believe it's already October? We have so much to look forward to this month, and I for one am way too happy that we are now in Autumn. There's nothing quite like looking at the changing colours of nature, the fresh crisp air, chunky knits, tan boots, cinnamon scents, and not forgetting berry coloured lipsticks. 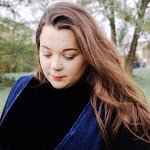 I'm definitely looking forward to snuggling up in blankets and reading a good book whilst watching the rain outside in the coming months and so in the name of the excitement let's talk about what we got up to this month. Well this month was probably one of the most emotional months that I have had in a while, my baby girl went off into the big wide world of nursery. This whole month felt almost like the end of an era. An end of something special. An end to those mornings together, a time that I will cherish and always wonder why it had to end so quickly. Those lazy mornings where my baby girl would hop into my bed and we would have extra special cuddles, where I would try and snooze and she would wake me up by pulling my eyelids. Those mornings where we could take our time in getting ready for the day and eat our breakfast on the sofa, twinning it with our dressing gowns. Times where we could just look forward to a Disney marathon and not worry about going out into the cold. Those times have come to an end with my girl, because now we have to rush around trying to getting out of the door before the bell rings. So with it being such a milestone, I wrote my beautiful baby a girl a letter. September also saw the new arrival of the beautiful Baby Evie Grace, who was born on 11th September weighing 6lb 8ozs. This little lady is so beautiful and makes me a little broody, we couldn't wait to go and meet her for cuddles, so the following weekend we took a two and half hour drive to meet our brand new niece. As always work has been crazy. But the highlight of the month had to be working on the Disney campaign with the launch of their party planner. We was only too excited to host a mind week hump party with all things Rapunzel of course. I have just about managed 21 posts this month, so I have only just managed to beat last months target, but one. I have worked with some amazing brands this month including; Petit-Fernand, Fenetic Wellbeing, and Electric Juke Box, Xtrava, and Snuggles just to name a few. We have a few more projects lined up, but it is something that I cannot reveal just yet, so keep your eyes peeled. We will be ready for the big move very soon. Our daughter is outgrown her very small box room and so my husband and I are making plans to move her out of her room and into the bigger sooner than we thought perhaps in time for Christmas. So we have been making a few new purchases for out girls bedroom, even been carpet shopping which will be laid by the end of next month, I have also been sucked into buying lots of new Peter Rabbit accessories, thanks Etsy!!! With the little lady moving into the bigger room this also mean that I can finally make a start on my office/woman cave, so I am looking for some brand new furniture to go in there! Now that we have said goodbye to the sunshine, beautiful blue skies, and all those summer adventures we can begin to welcome the colder weather, cosy evenings and snuggles. This month we have made a few purchases for our home to get ready for Autumn and Winter and an essential must have that you need in your life is most definitely a luxurious thick and fluffy blanket. Some days we like to drag our duvet downstairs if we want to be particularly cosy, although this results in an afternoon snooze. However a nice cosy blanket normally does the trick. Last year we were kindly given a super fluffy blanket, but we have use it that much the fluffiness has disappeared so we need a new one. Feeling a little more indulgent when it comes to a new blanket so one item that we will splurge on is a new blanket of some kind. 2 comments on "MONTHLY ROUNDUP | September"
It's such a brilliant post lovely!